Did you know a thriving well-being goes beyond eating the right food for your body, physical activity, and weight management? A number of other elements should also be considered while on a journey towards your best health. 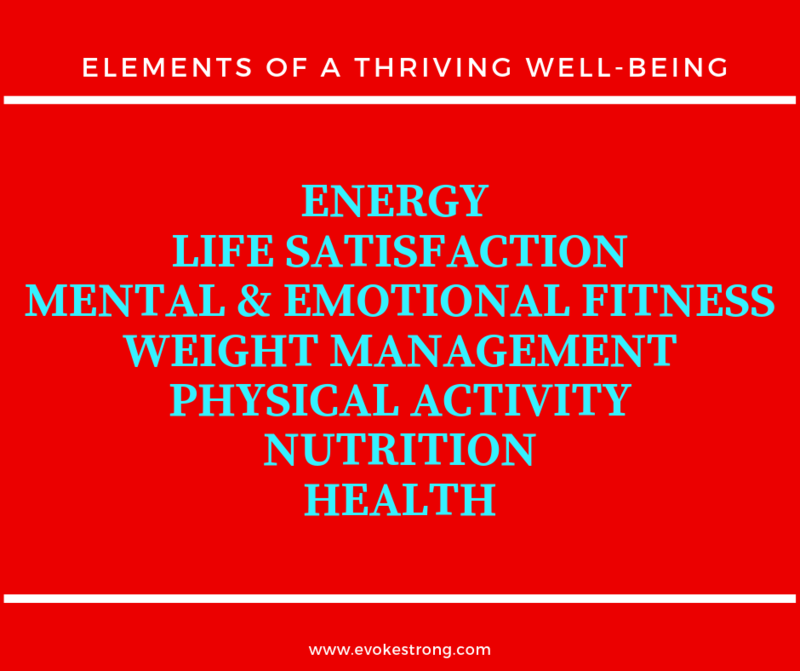 I learned there are seven components of well-being according to WellCoaches. Clients become aware of these components by taking a Well-Being Assessment (WBA). Through this assessment, they discover their starting point and which direction they want to go. Which of these elements is the most important to you? Which one are you ready to create change? Today, I thought about the value of having a high level of ‘Life Satisfaction’. When asked a question about how you feel about life satisfaction, would you answer “Most of the time” or “Very Satisfied” to what was mentioned above? Having awareness of your level of life satisfaction brings forth a deeper meaning towards your strive to a thriving well-being. Without purpose, without gratitude, without joy, we easily become lost in the maze of life. The disparity affects our health which can manifest into physical symptoms. My strong sense of purpose and joy comes from my faith in God. I remember when I was a child, I constantly wrote letters to God as part of my prayer. It’s what gave me the strength through many of the difficulties I have experienced in my past. This morning was another inspirational sermon from the pastor of the church we currently attend. He mentioned of the difference between happiness and joy. Happiness is fleeting since it’s usually due to outwardly circumstances that determine whether we’re happy or not. Compared with joy that is lasting. And the joy that comes from knowing ultimately a higher being is in control – for me it is God. 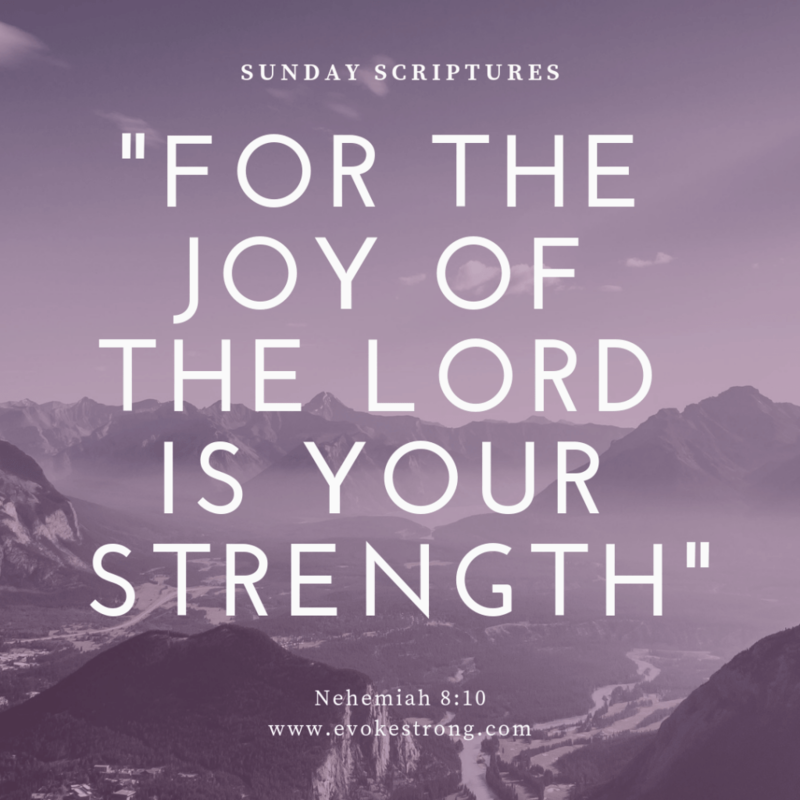 Whether it’s faith in God or having a strong belief in something grander than yourself, it’s one way we can develop a stronger sense of purpose and cultivate joy. Dig deep into your soul and discover what it is that gives you true joy. It will give you a higher level of life satisfaction and bring you closer towards a healthy and thriving well-being. Reference: Moore, M., Jackson, E., & Tschannen-Moran, B. (2016). Coaching Psychology Manual. Philadelphia, PA: Wolters Kluwer. Would you like to be a part of a community of women striving towards their best health? Please consider joining evoke STRONG’s Facebook group – evoke Healthy Habits. Click on the link => I WANT TO JOIN, answer a few questions and hit Request to Join. Next postAre you READY, WILLING, and ABLE? I also have a very deep faith in God, and that has carried me through many tough moments and experiences. I am not sure I would use the word satisfaction. maybe. more like content. I am content with my life. I am able to do the things that make me happy. I am in a relationship with a very loving and caring (and smart and funny 🙂 ) partner. I don’t have a lot of friendships where I’m at but that’s the difficulty of being an immigrant. So I am learning to be OK with these things that I’m less content about. I believe in something like God – definitely a higher power, but I am not religious. Thanks for sharing Renee. Sounds like you share your life with an amazing partner! My faith has shaped everything in my life and it continues to! That’s wonderful to hear Jenny! Although I don’t go to church weekly (still searching for a church home), I have a belief in God and I know that has helped me get through some hard times. I do try to have joy and laughter in my daily life. I don’t have a lot of friends where I live, but I’m very thankful for my online friends and my college friends that live in different parts of the country. Those friendships are very valuable to me. I found that having a church home to connect with is valuable. I understand how it could be tough when your friends are long distance. However with technology it makes it so much easier to reconnect. Thank you Deborah. My faith has definitely helped me through hard times. That is wonderful that your faith has helped guide you! I know it can be very helpful for many people!! Happy Thanksgiving!! Yes it has! Thanks Angela – Happy Thanksgiving to you as well. Having a good relationship with God is important, I believe. Being able to keep that relationship strong, even through the most troubling of times, is amazing.